Some years ago, I remember visiting the atomic bomb memorial at Hiroshima, and, like other friends I know who have done the same, it deeply altered my perspective on war forever. This week in 1945, as most of you will know, the United States detonated atomic bombs over Hiroshima and Nagasaki, Japan, essentially ending the second world war. 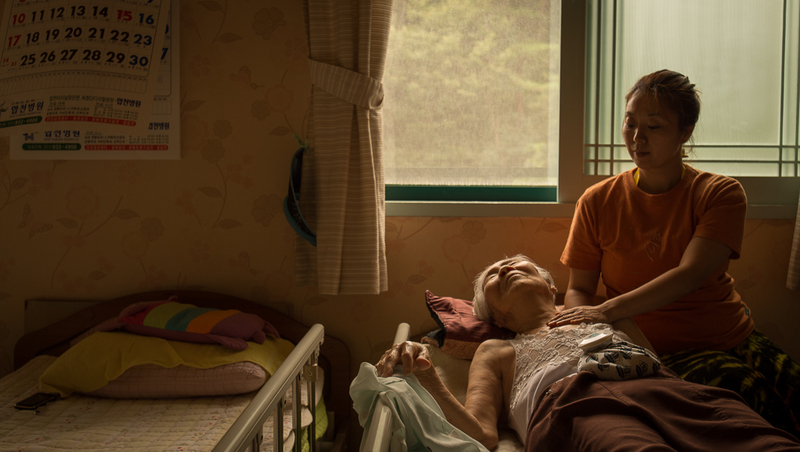 On the anniversary of the Hiroshima bombing this week, Suhee and I were invited to document an event in Korea, where a group of Japanese massage therapists called Touch in Peace, were visiting to work with Korean survivors of the bombing. Little known to most of us — I didn’t know until this week — there were many hundreds of thousands of Korean conscripts in Japan during the war. Somewhere between 25,000 and 50,000 Koreans perished when the bombs were dropped on Hiroshima and Nagasaki. In light of this, the Japanese group who we worked with this week, brought something to Korea which was far more important than just their therapy skills. They brought a face-to-face message of compassion and peace to a relationship fraught with turbulence. What transpired in these past two days as we spoke with spoke with individual survivors and observed their interactions with the Japanese group members, was filled with honesty, acknowledgement, and many warm embraces. It was a hopeful time which showed new possibilities to a world so often in conflict. It was a version of humanity where there were no borders, there were no ethnic barriers, certainly no religious barriers, and no good or bad. There were only humans, each showing other humans that they have love for them, if only because they realize that we are all just that. Human. What’s more, we were reminded during these past few days, that holding love for each other is not just a good idea, but perhaps also the only sane way forward. 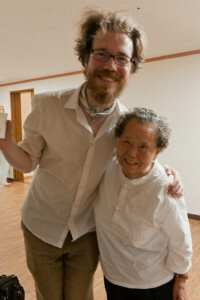 I want to thank our friend Kaori for inviting us, her massage therapy crew for their warmth and kindness, and most especially the survivors who we met, and who returned our own kindness with more than we could have imagined. It meant so very much for Suhee and myself to have this experience, to see Touch in Peace at work, and to feel true humanity as we shook hands, talked with, and embraced these beautiful human beings. This week, we were reminded how possible peace is — and how powerful it can be when it happens.